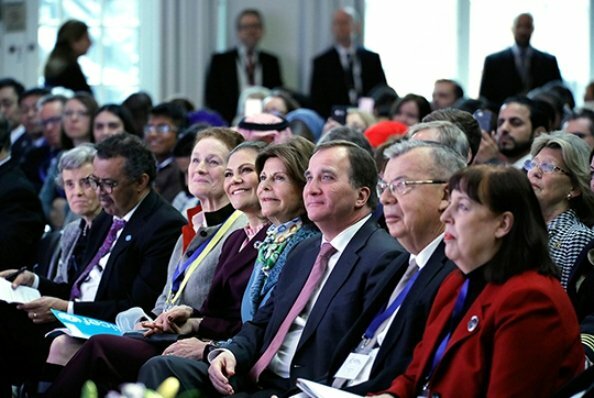 On February 14, Queen Silvia and Crown Princess Victoria attended Agenda 2030 for Children – End Violence Solutions Summit held at Münchenbryggeriet Conference Center in Stockholm. 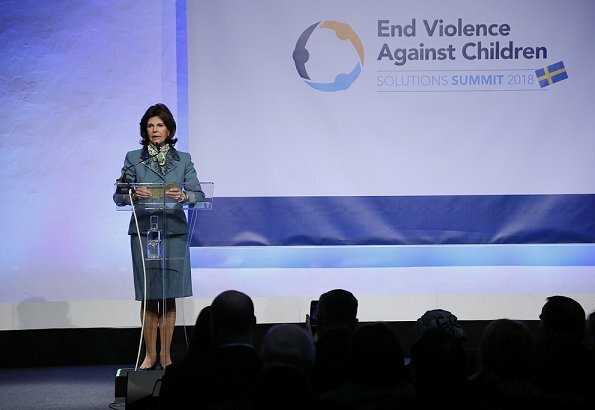 Attendees of the summit warned governments, UN and nongovernmental organizations and called for going into action urgently and taking bold steps for the purpose of preventing violence against children and reacting to that. Elegant and apropriate both ladies. 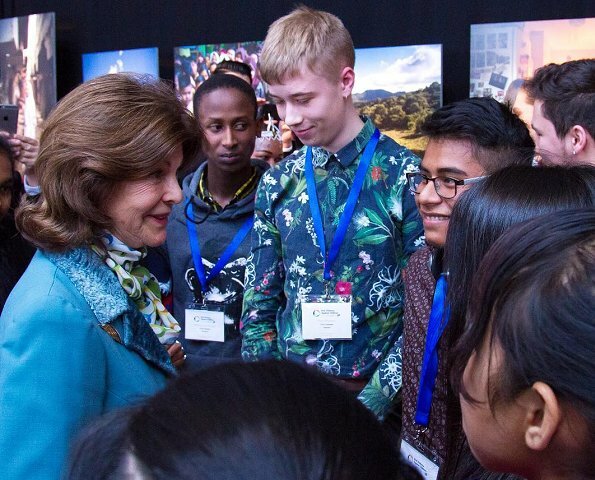 Did Sílvia change her hairstyle a bit? It looks wonderful! 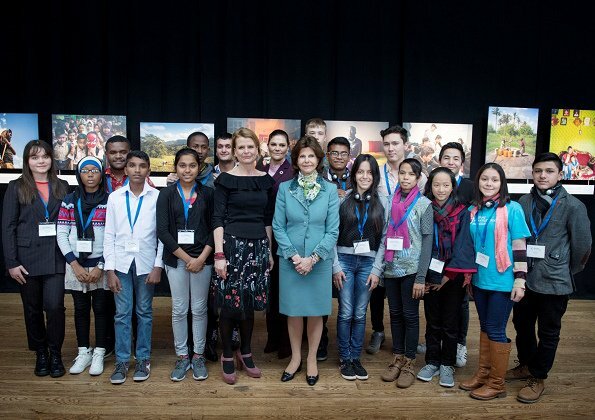 I like a lot that Queen Silvia does engagements with both her daughters. More often wilth Victoria (but that is understandable). 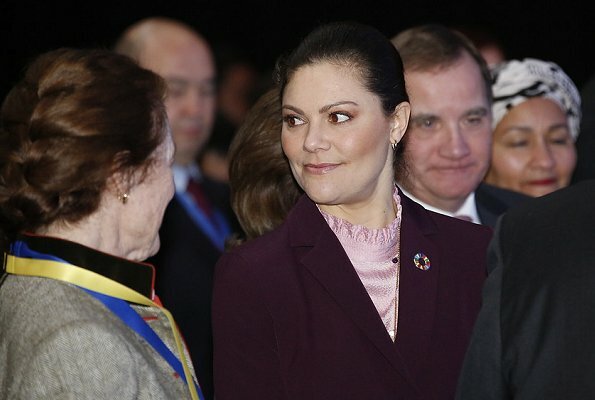 She seems a very warm person and a carrying mother and grandmother. Agree. 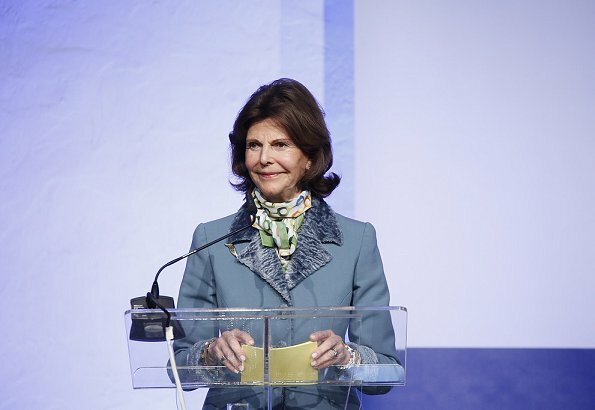 And this blue is great on Queen Silvia. 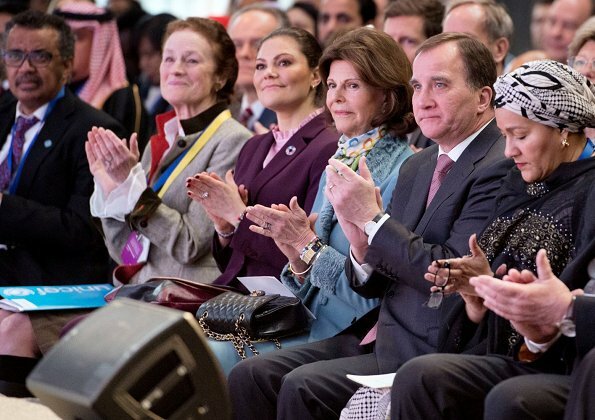 I am very impressed with a strong leadership of Queen Silvia and Princess Victoria.